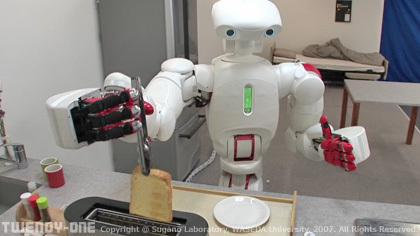 The development of human symbiotic robots that can support human daily activities is greatly expected to be a measure against labor shortages in aging societies. 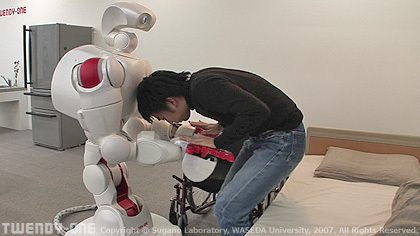 The human symbiotic robots are required to have the functions of human friendly communication, human safety assistance and dexterous manipulation. 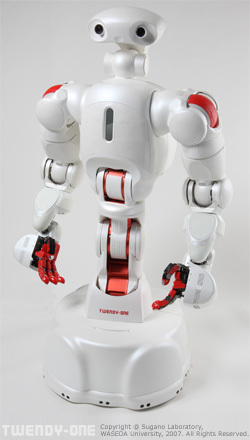 However most of the conventional robotics researches have focused on the entertainment application or the technology of biped humanoid robots, and there is few studies on the design and control of human symbiotic robots. Because the basic technologies for “Safety”, “Dependability” and “Dexterity” is very difficult to develop.